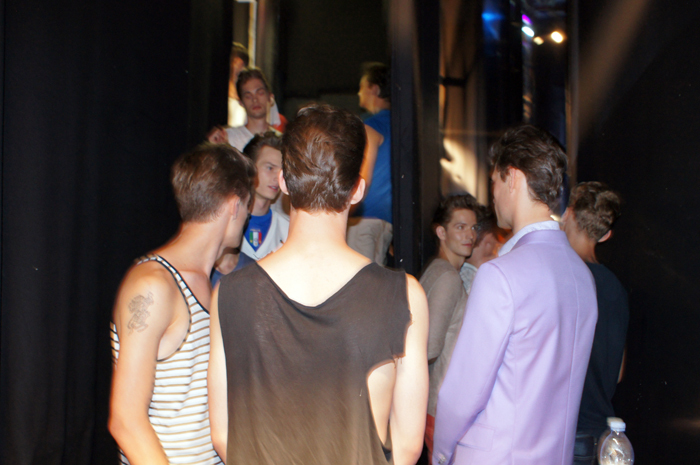 Story & photos by Ivan Guerrero The Male Model Music Project at Roberto Cavalli Spring/Summer 2013 Backstage!!! 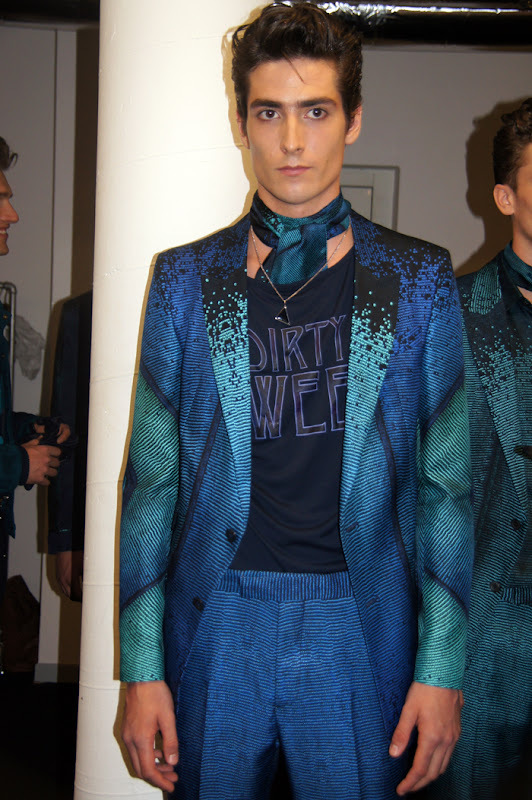 Nature, new technologies and 'transformation' are the keywords for this collection from Roberto Cavalli,who spices up the scene with glam rock and eccentric vibes from the elegant and powerful man who blooms into perfection. 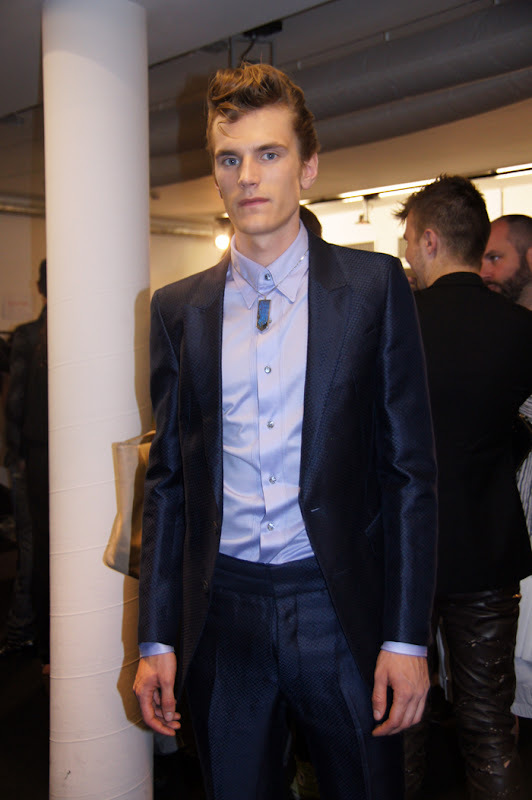 Squared shoulders, absinthe laminated jackets and graphite triangular silhouettes. 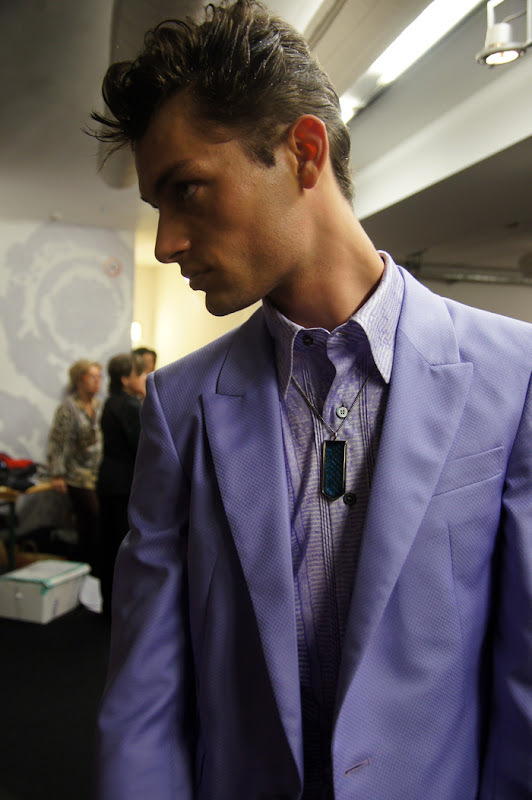 Glamorous, anatomical and geometrical. "The immense secrets of the Cosmos are enclosed within the smallest wonders of Nature. Micro worlds, invisible to our eyes, conceal beauty, perfection and love". 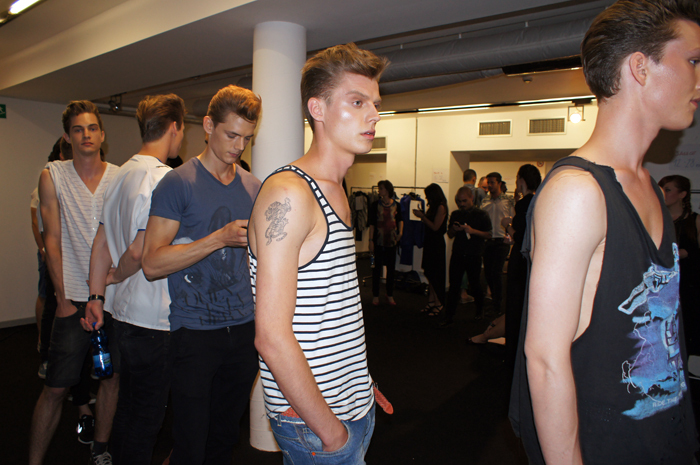 Daniele Cavalli supervises and gives final touches before the show.